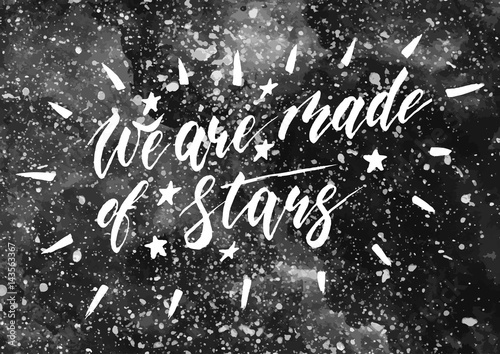 Strona główna > Fototapety>Tematy>Kosmos>We are all made of stars - freehand ink hand drawn calligraphic design. Fototapeta We are all made of stars - freehand ink hand drawn calligraphic design. We are all made of stars - freehand ink hand drawn calligraphic design.